For your typical art-loving UChicago student, the Booth School of Business is often nothing more than the building on the way to Doc Films. Some might even describe it as the evil capitalist factory tearing at the soul of the University and occasionally supplementing meager student incomes with its Decision Research Lab studies. Needless to say, visual arts majors and aspiring investment bankers have starkly different attitudes toward this institution, which is often associated with Milton Friedman and Ronald Coase. Yet both groups can usually agree that Booth is not a place for fine artists. 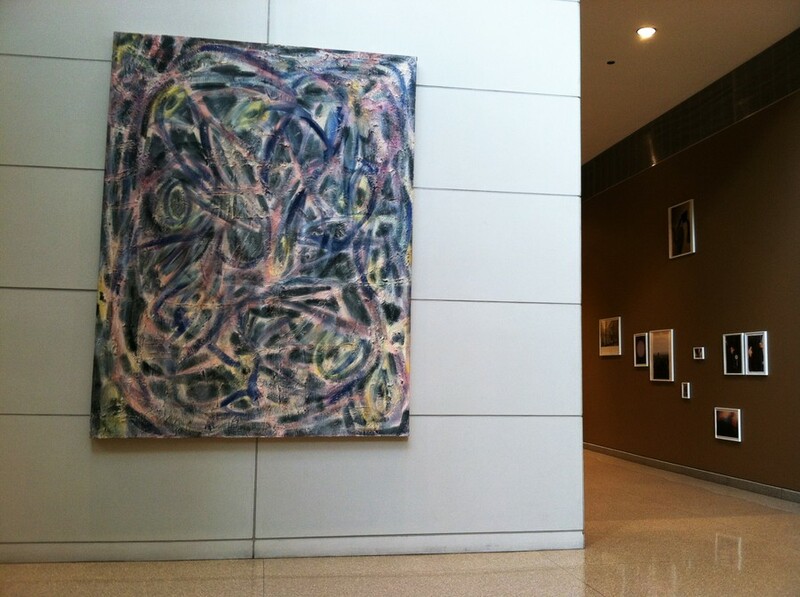 When looking for art on campus, one usually heads to the Renaissance Society or scours the Logan Center for an interesting installation, not the School of Business. Yet in reality, Booth is home to an impressive stockpile of modern paintings, collages, sculptures, and everything in between. The size and breadth of this collection dwarfs the amount of contemporary works at the Smart Museum, making this assortment the largest concentration of modern art on campus. Walking into this impressive building, a host of distractions absorb the attention of its occupants. The high glass ceilings prompt many visitors to crane their necks upward and maybe collide with a bustling crowd of employees and students hurrying off to a class or a meeting. Those not rushing around are fixated on their MacBooks, quickly finishing up a paper. It seems that most do not realize they are surrounded by a world class art collection. The works of art expertly blend into the layout of the building, quietly complementing the flow and design while inserting beauty into the space. In short, the collection is an art museum hidden in plain view. Why is it that Booth came to possess so many works? Really, this phenomenon presents the natural relationship that has existed for millennia between great art and great wealth. Each year Booth sets aside a portion of its endowment purely for the purpose of acquiring new works. The school even has a committee of appointed curators that carefully select installations of obscure up-and-coming artists and commissions established artists to fill the space. Some of the committee members are Booth professors. Originally the collection aimed to reflect the nature of the school and thus selected works related somehow to industry and commerce. However, that is a thing of the past, as the curators now seek to acquire whatever strikes their fancy. Such selections could range from the collages of the provocative Cairo-based Anna Boghiguian or Giuseppe Penone’s super modern tree-like sculpture, “Ideas of Stone,” which occupies the building’s southern lawn. Overall, this impressive collection is indeed a gem for the University and sadly goes unnoticed by far too many students. Apparently, one of the major threats to the pieces is the backpacks and coffee cups of negligent students who don’t realize they are working around priceless works of art. This interesting combination of setting and content should open our eyes. We access these spectacular displays of culture and often take them for granted. Finally, the stark contrast between this institution’s reputation and the beauty of its art conveys how business and fine art are not mortal enemies. In fact, these two worlds have a healthy symbiotic relationship, which presents itself beautifully under the glass arches of Booth.